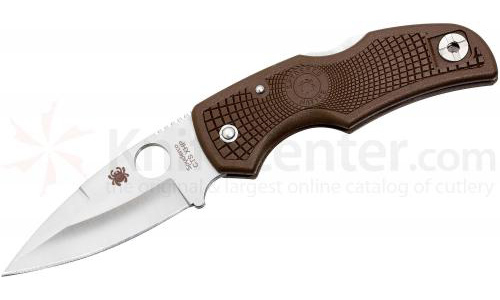 We think the Native is one of Spyderco’s best designs. It is medium sized, has a great blade shape and the handle is thin so it’s easy to carry. We thought you might want one with the great Carpenter CTS-XHP steel and so we got this model for you. Not only that, but we are offering it at an initial discount of only $79.95! These blog posts stay up here, so don’t blame us if, when you see this post, it’s already back to our full discount price of $89.95. These are a Sprint Run meaning there are only but so many made. They will run out so grab one if you’re interested!